Prepare for a successful endeavor on behalf of your kingdom by wearing armour suitable for a warrior of your royal status. The Breastplate King Ã¢â‚¬' Size Medium will safeguard your chest as you lead your knights toward a grand victory. 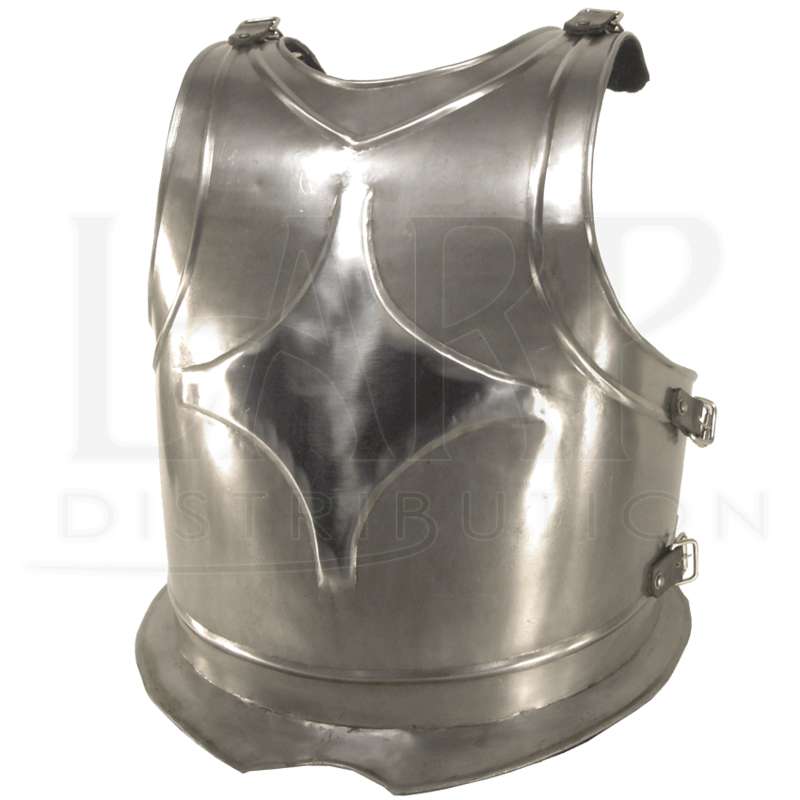 Crafted from 18-gauge mild steel, this cuirass is meant to endure the harsh conditions of a LARP battlefield. 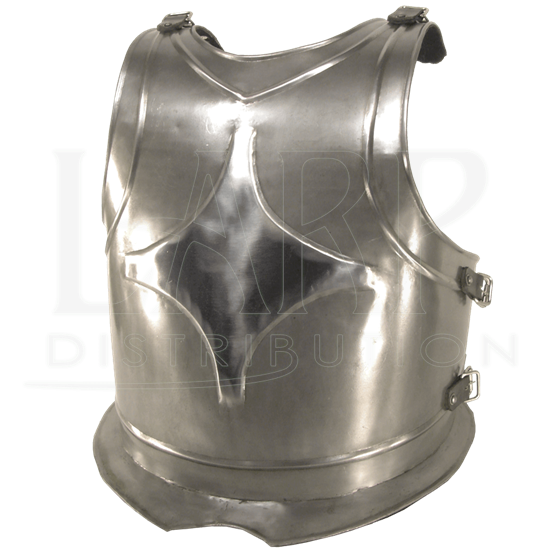 The breastplate possesses an acid grey matted finish. A cross-like pattern decorates the chest. The raised edging and a V-shaped flange aid in deflection. Secure a backplate and pauldrons to the breastplate via the buckle straps found at the shoulders and the waist. Complete your look by combining all the King armour pieces such as the King Tasset Belt and the Kings Steel Arm Bracers. Length from Shoulder to Hip: 24 Inches. These are measurements of the armour only. These measurements do not include the straps or buckles. Keep in mind that if you are wearing a gambeson or heavily padded shirt to take your measurement while wearing the garment and order by that measurement.